Since the turn of the century concrete has played an important role in our engineering of everyday life. Structurally it is the strongest, most versatile compound known in the construction world today. Now, modern concrete can be used to create soft warm, versatile, surfaces including sinks or vanities perfect for your next bathroom remodel. Concrete countertops and sinks provide a unique and modern pallet for any design savvy homeowner. 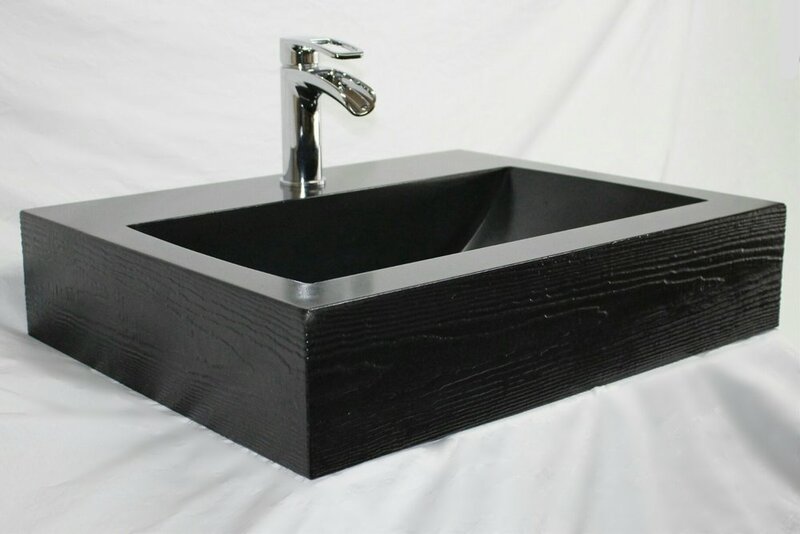 One-of-a-kind bath and concrete sink vanities are customized for the perfect size and fit. From ultra modern to cozy country, concrete can achieve the natural look and feel you want for your new home or bathroom remodel. We believe that concrete offers the highest quality finish to a modern space. It's one of the most durable and beautiful surfaces one can have in your bathroom, kitchen or powder room. We make adding these sinks effortless. The first thing that you will want to do is decide what type of sink and style is perfect for you. Fixed. Ample & Discreet Storage. 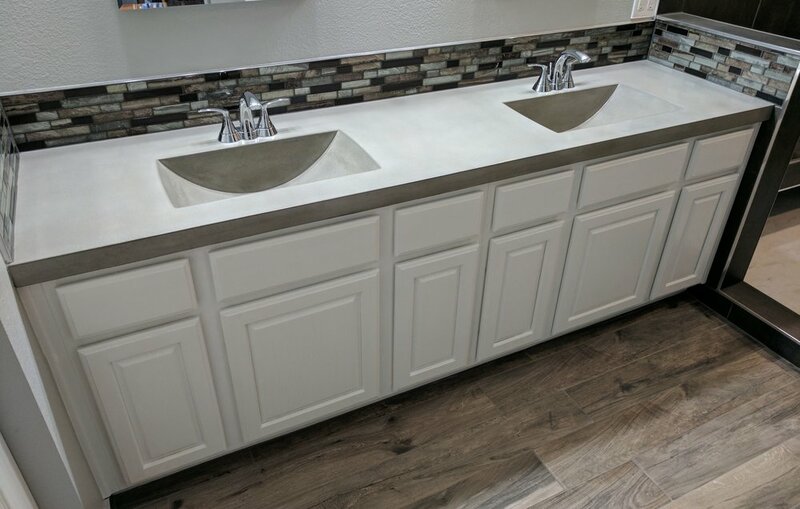 Floating sinks are easiest to install with new construction or a full remodel, floating sinks are built into the wall in a fixed position with seamless integration into the counter and vanity. Open shelving can be installed for extra storage under the main counter. Pedestal Sinks are freestanding handcrafted frames that support the sink and vanity. Open frame or box style pedestals are fantastic because they have a simple custom frame made of wood and metal that is freestanding and easily installed. Cabinet sinks rest directly on top of a grounded cabinet base in a fixed position. This sink affords you cabinets and drawers for fashionable and discreet storage. Many standard store bought cabinets can be enhanced with a custom concrete top of your design.